Way to go, South Florida! Super Bowl 54 in 2020 – here in South Florida! South Florida will be hosting Super Bowl 54 in 2020 The last one we hosted was in 2010 – Super Bowl 44! But this one will be special. According to Wikipedia, this footbal stadium has hosted five Super Bowls (XXIII, XXIX, XXXIII, XLI, XLIV); the 2010 Pro Bowl; two World Series (1997 and 2003); four BCS National Championship Games (2001, 2005, 2009, 2013); the second round of the 2009 World Baseball Classic; and WrestleMania XXVIII. And guess what! 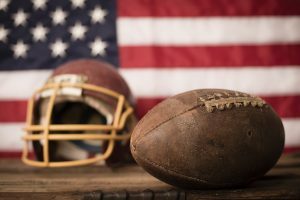 We have boasting rights for hosting more Super Bowls in our region than any other! Sorry, New Orleans. Miami is less than two hours from Naples, FL. If you want everything — this is the place. Serenity and luxury and close enough to Miami without the congestion. Right here in Naples, enjoy fishing, boating, golf, sporting events, luxury dining, casual seafood shacks, beaches, shopping, spas, major league summer baseball camps, botanical gardens…the list goes on and on. Consider staying in Naples, and visiting Miami for the game. Warning – you may fall in love with southern Florida.